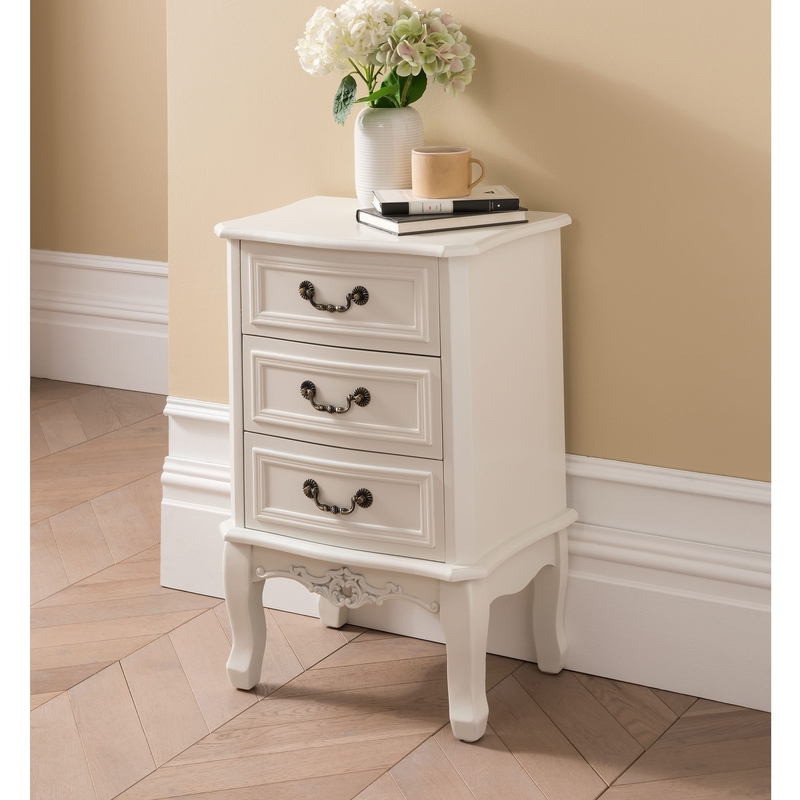 From our ever-expanding range of shabby chic and French style furniture comes this delightful and ever so beautiful bedside table from our range of exclusive Etienne white French furniture. Handcrafted and carefully built by experts, simply stunning bedside will work wonders adding style and elegance in any bedroom. Finished in white with 3 detailed drawers, this bedside will impress across generations.